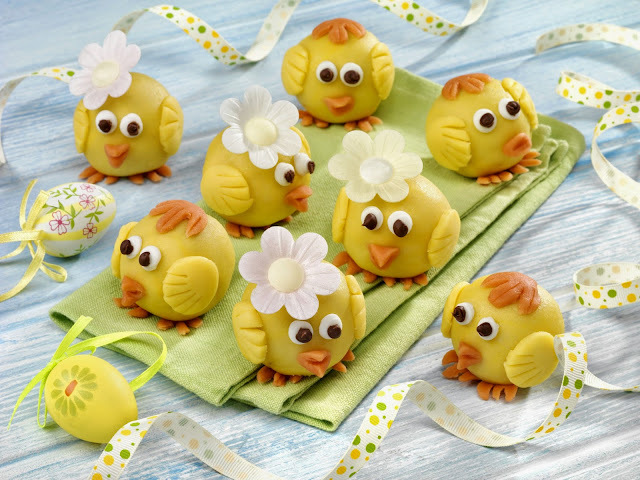 These sweet little marzipan chirpy chick truffles are a bit tricky to make but older kids will love to get involved, and who really cares if they're not perfect! Chocolate nests are a classic, whether made with Shredded Wheat like Leslie from Messy Blog or with cornflakes like Jules from Pondering Parenthood. 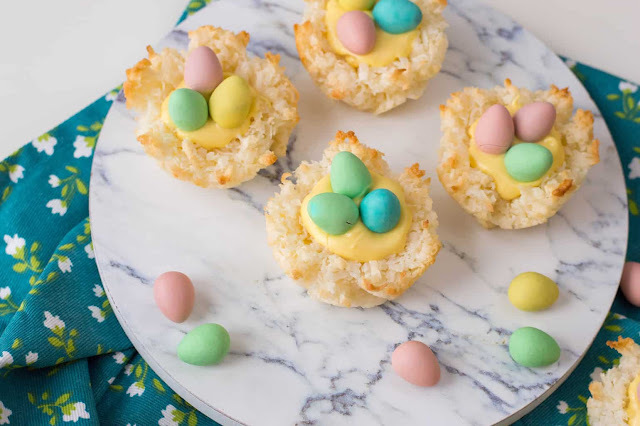 These pretty Easter macaroons from Boo Roo and Tigger Too are really easy to make and look delicious. 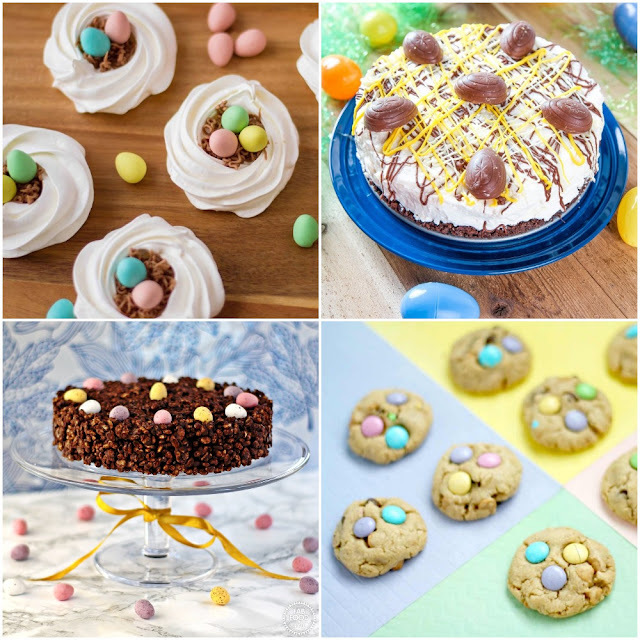 We might not catch a glimpse of the real Easter Bunny this year, but these adorable S'Mores Easter bunny burrows are the next best thing - and a delicious chocolate treat too. 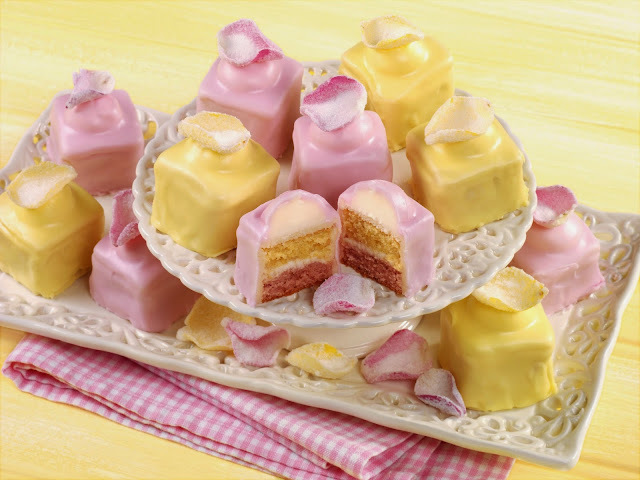 You'll be a rival for Mr Kipling with these wonderful home-made rose and lemon fondant fancies, and they're much easier than you might think. 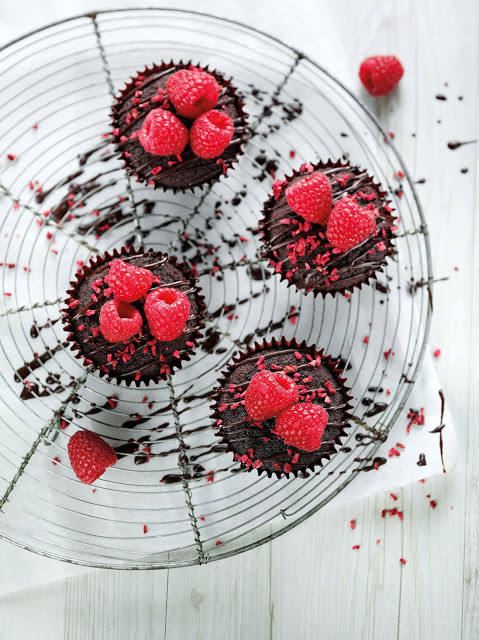 A simpler one for the kids to help with, these amazing chocolate beetroot and raspberry cupcakes are gluten and dairy-free too. These cute little Chocolate Easter bunny cupcakes look adorable and are really easy to make, your toddler or preschooler will be so proud to whip these up! 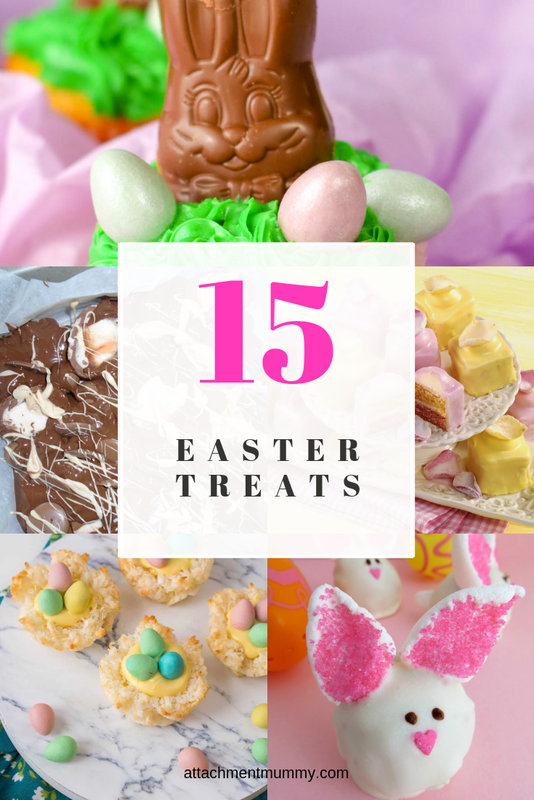 Got some Creme Eggs on hand? 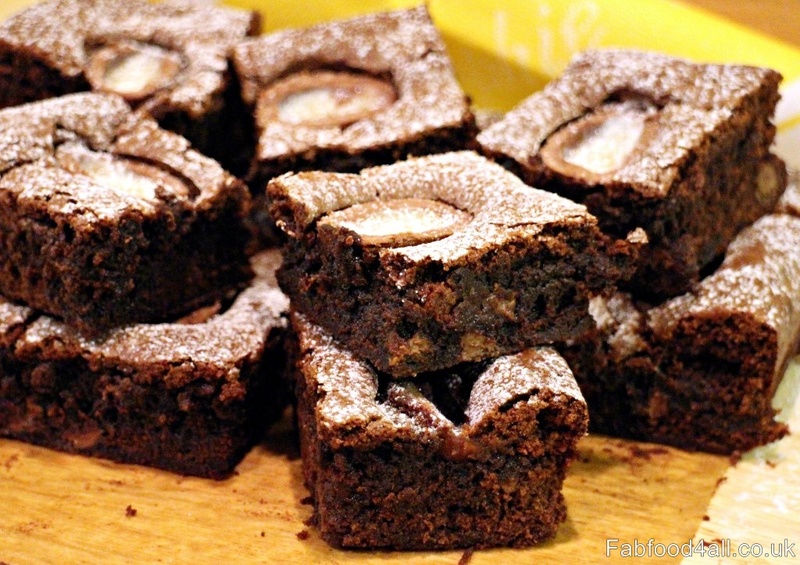 Use them in a batch of these delicious creme egg brownies from Fab Food 4 All - yum! 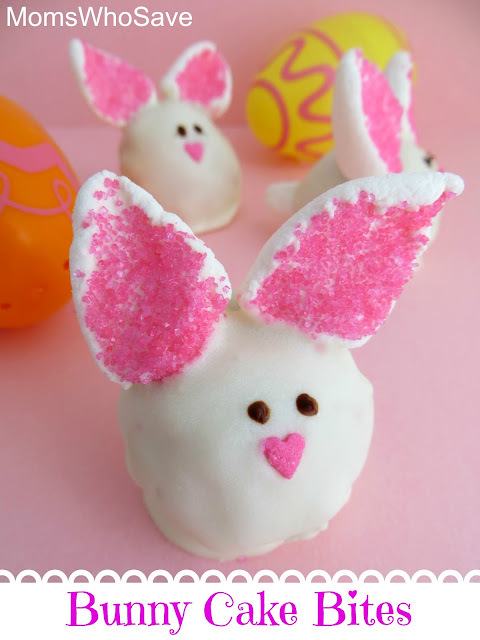 If red velvet cake is your thing, try these cute Easter bunny red velvet truffles, so sweet. 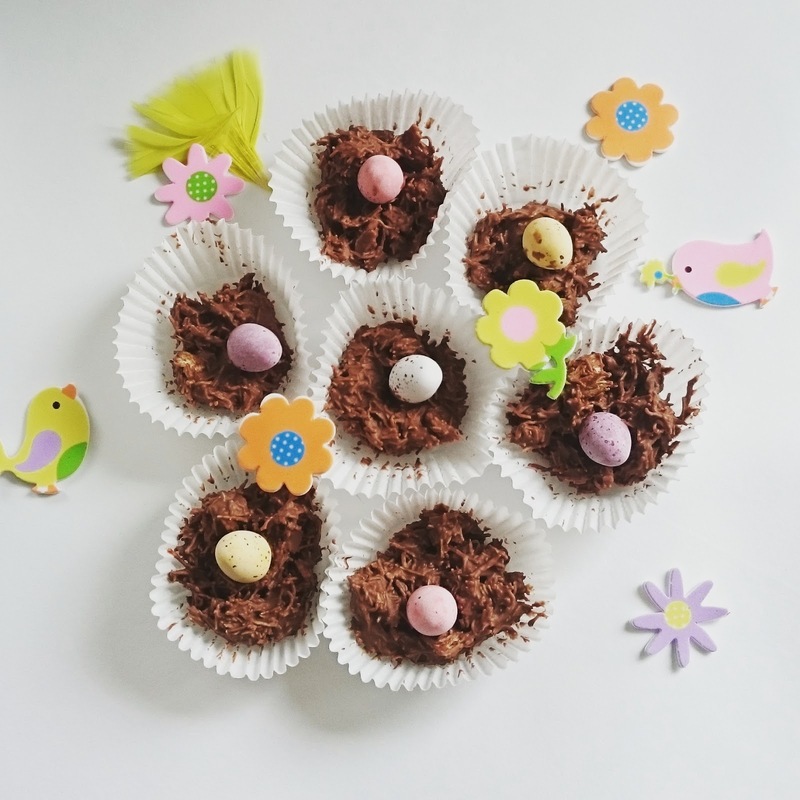 Gather together whatever chocolate you fancy and get the kids to make this yummy Creme egg bark. You can even add jelly sweets and other candy too. 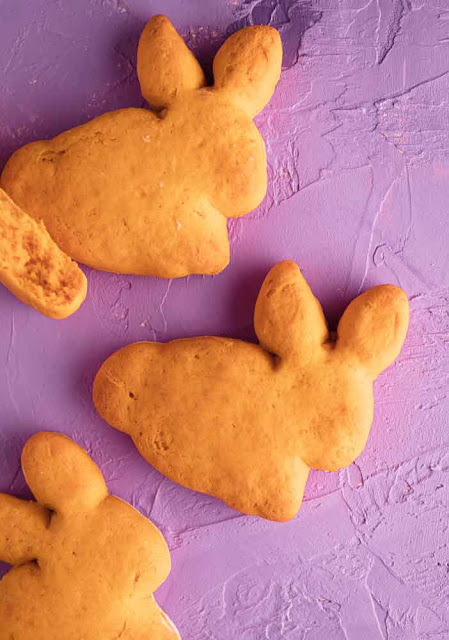 If you want to cut back on all that sugar, these vegan sweet potato bunny biscuits could be just the ticket - bunny, check, but less sugar and even some good for you veg too. 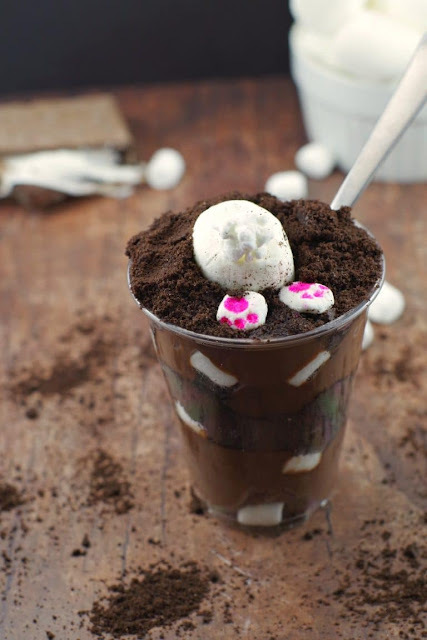 Or go all out for the grown ups with this Peppermint crunch slice from Hodge Podge Days. 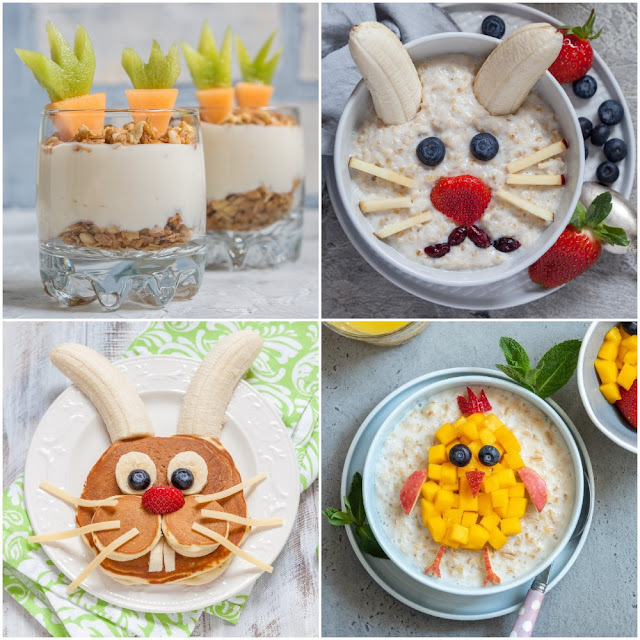 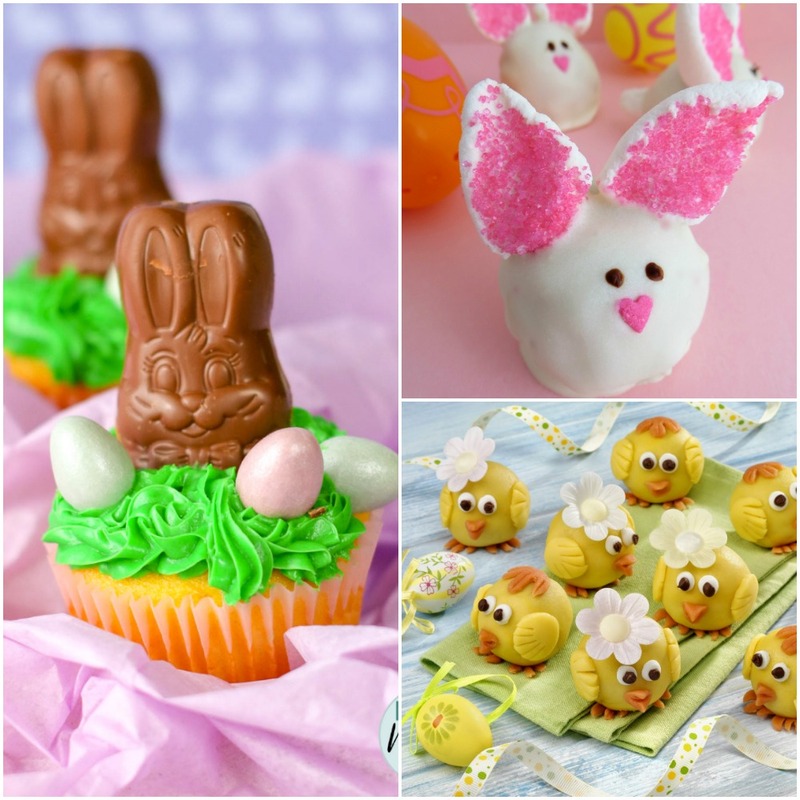 How cute are these adorable bunny cake bites from Moms Who Save? Almost too cute to eat. 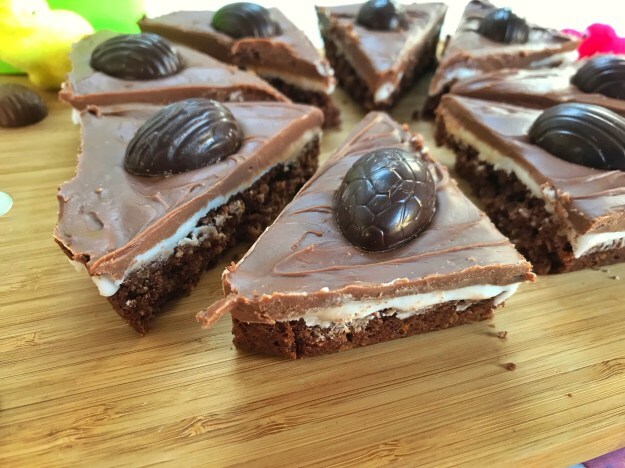 This Malteser tiffin is another full-on chocolatey treat. 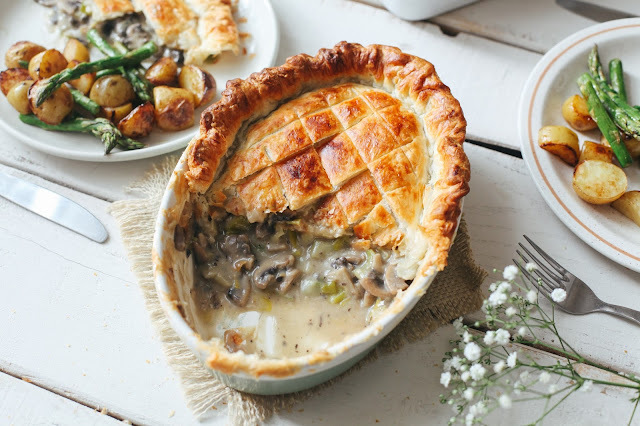 Get the stove on! 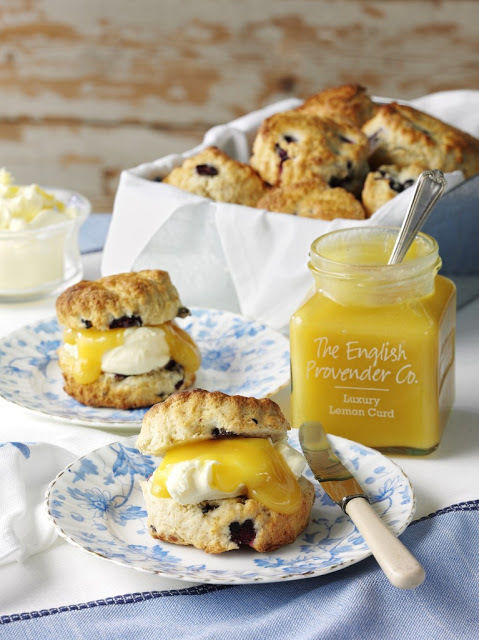 And finally, after all that chocolate and sweetness, cut through with these delicious blueberry and lemon scones for afternoon tea. 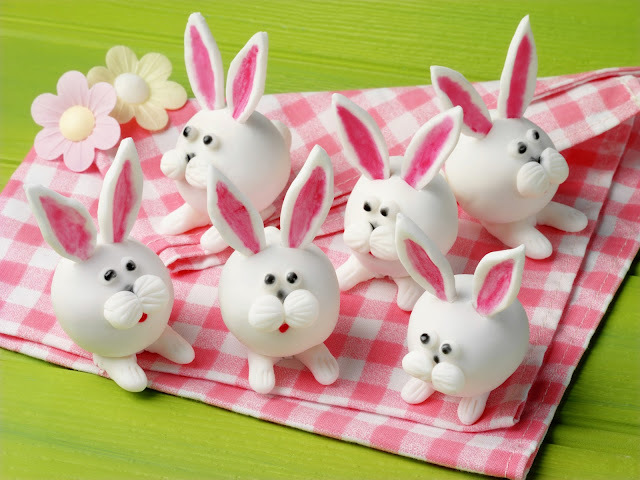 These look as though they would be popular for an Easter Party. 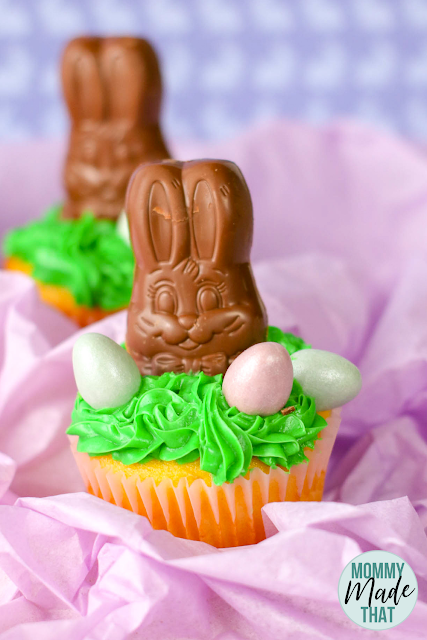 These look like delicious treats. 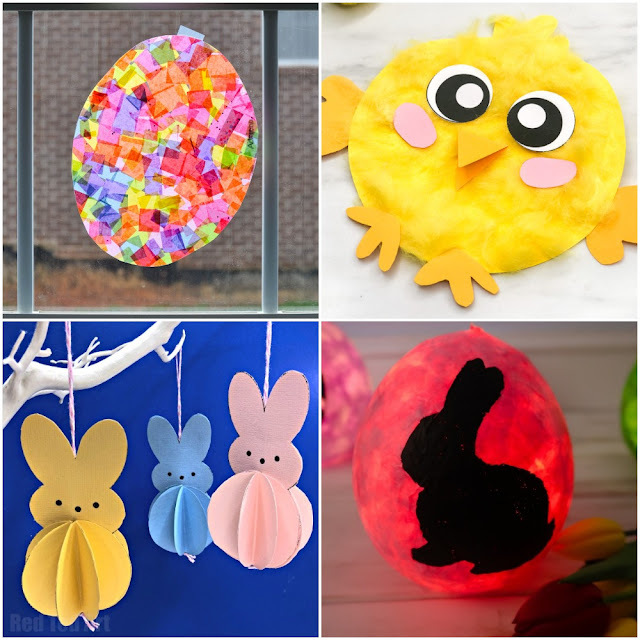 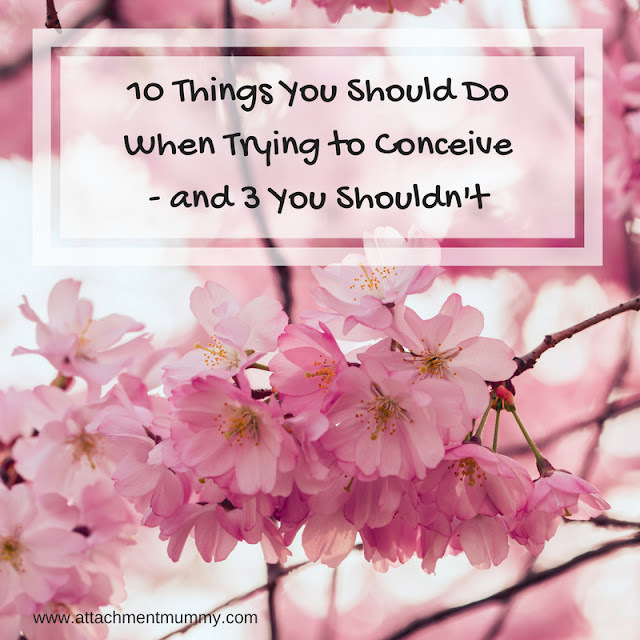 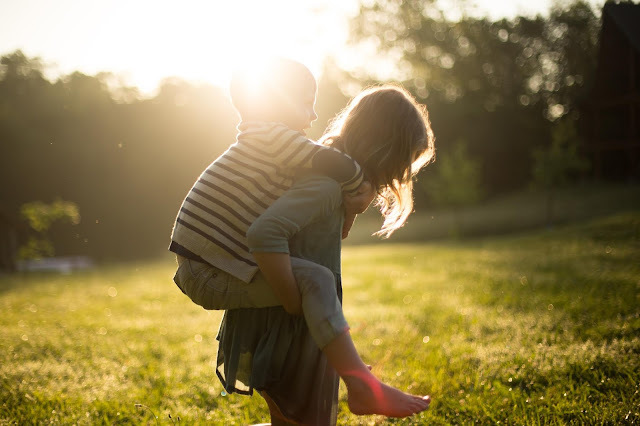 I know my kids would have loved helping to make them when they were still at home.